When you head out on a backpacking trip, carrying the right gear is crucial. Most travelers know that. And unless you’re backpacking somewhere really hot (we’re talking sub equator here) it’s vital to account for spring’s chilly, wet weather when you pack. Take a place like Ireland. It’s not winter, so you won’t need a parka when you go, but it’s certainly not shorts weather either. If you’re not adequately prepared, you can get sick, or spend all your time in doors with purple lips and cold toes. Doesn’t sound ideal. That’s why we’ve put together a list of Lost Girl approved must-have gear for your spring trip checklist. Weather you’re heading off for a weekend in the Appalachians, a day up in the Colorado Rockies, or working your way across Europe on spring break, this gear will get you through. And keep you warm. So with the right prep, you won’t find yourself under prepared for what could be rainy, low-temp weather. These products are tried, tested and have our LG stamp of approval. When you backpack, you probably want to carry a day pack full of snacks, your camera, a map–those necessaries that you don’t want to leave behind at the hostel. And staying hydrated on the trail or the road is super important. We found a sweet piece of gear to combine the two: Hydrapak’s Reversible Reservoir II. It’s the easiest to clean hydration system in the world. The slide seal closure ensures that there are no leaks, and the technology on their drink tube allows for easy access to the water on your back. Hydrapak offers a lifetime guarantee against leaks on the hydration system as well as a two year warranty against defects on the pack. You actually drop the bag itself into a choice of one of their packs, (the Reyes is one of our favorites) hook it up, and go. Simple as that. Plus, if you buy a pack big enough, you’ll have loads of extra room to toss in sunscreen, your map, a sandwich, your iPod and an extra sweatshirt. This piece of gear is totally worth a purchase considering you’d be hauling your water bottle around anyways. With Hydrapak, all your gear stays in the same day pack and you don’t even have the hassle of removing the pack to get at the water–just sip through the tube. 1. 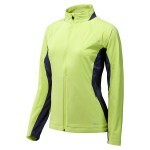 The Post Canyon softshell jacket ($100) combines high performance with versatility. 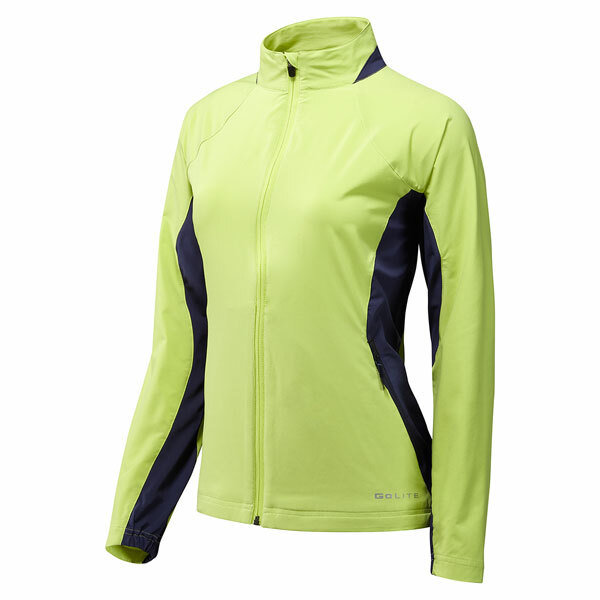 It’s the perfect spring layer for trail runs, long hikes, or wearing as a light jacket over other layers. 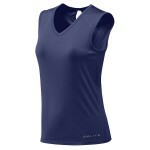 It’s made of recycled polyester and spandex so it’s extremely breathable, wicking sweat as you go. 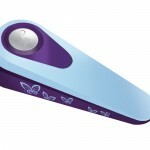 It provides a wide range of motion letting you work your upper body to the max. Zippered pocks make an ideal storage place for house keys or your iPod if you like to run with music. Tighter wrist cuffs stop annoying movements. It’s fitted to your body with flattering curves making you look and feel sleek during your run. 2. 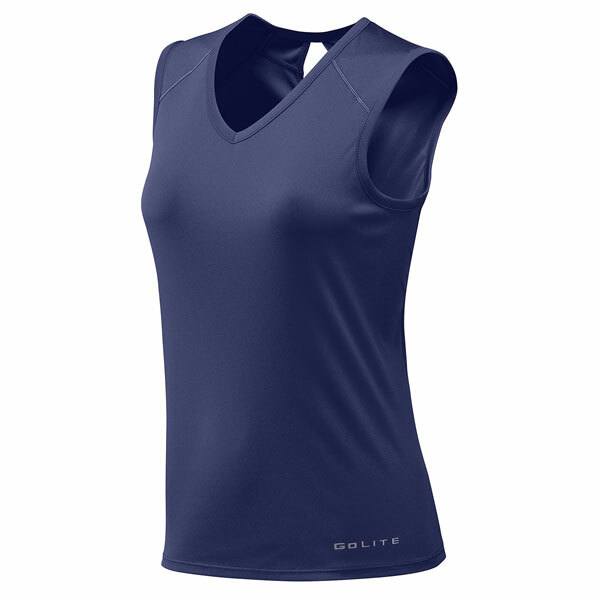 The Vista Ridge ($34) is a performance trail running shirt with an extremely simple design. It’s fitted, but not too tight around the waist making a solid spring under layer or a summer stand alone running shirt. It’s slightly longer than most running shirts so the relaxed fit becomes even more apparent when you hit the trail. If you prefer more coverage try the cap sleeve but if you like even more movement, or are looking for a hot-weather shirt, try it in the sleeveless design. It wicks sweat (without sweat stains). The best part: it has a small, zippered key pocket on the right side makes the perfect place to stash an apartment key during a long run. 3. 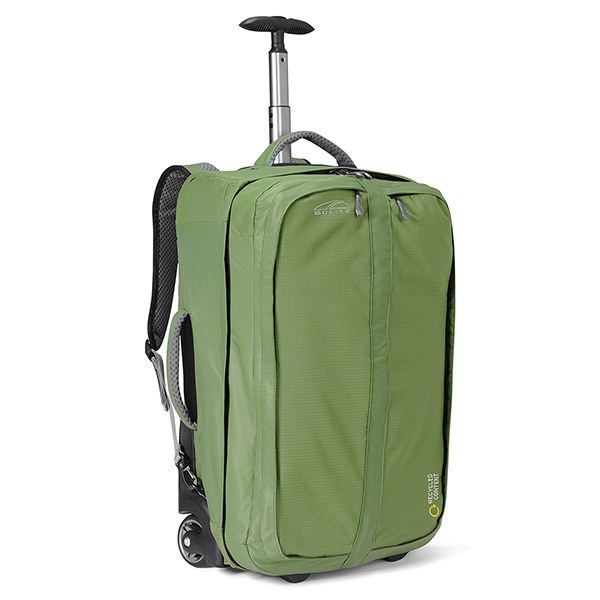 TravelLite Wheeled Carry On ($175) is actually convertible into a backpack. Cool, right? We thought so too. If you’re heading away for a shorter length of time (say a week) and don’t want to haul a big backpackers bag, this is the perfect alternative. 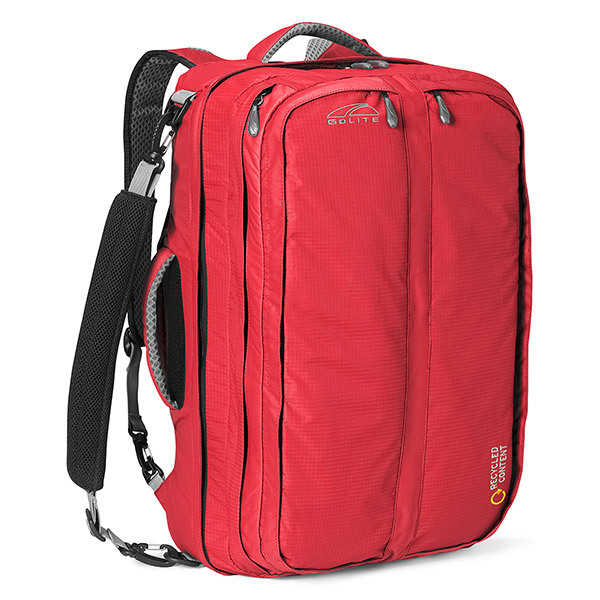 It’s lightweight at just over 5 lbs, and it holds up to 38 liters–plenty of space to pack for a week. Technically, it’s more than two pounds lighter than the average lightweight carry on. It meets carry on standards for both domestic and international flights. The over sized wheels are smooth-rolling and have reinforced axles so this little bag will definitely keep up with you through the airport. 4. The TraveLite Convertible Carry On ($125) makes hauling a carry-on through the airport easy. This bag is two in one. It can be a backpack or a duffel depending on where you’re going and how you’re getting there. The zippered shoulder strap quickly converts to backpack mode so switching is hassle-free. The Carry On has a squishy gel shoulder strap so it’s comfortable for your shoulder. It meets carry-on standards for both US and International flights. There’s a handy secure body-side zip-pocket for your boarding pass or other valuables. It fits neatly into the overhead bins and at just 2lbs 1 oz it’s 1/3 lighter than most convertible carry-ons. 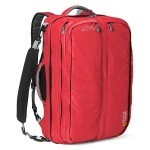 Its zippered system keeps your clothes neatly packed and organized, moving you through airport security lines. With the Carry On, you can travel light and save lots of money on unnecessary baggage fees. 5.The Sarek Softshell Travel Hoody ($125) is lightweight, super warm, and fitted. It’s a cross between a sweatshirt, a polar fleece and a jacket. It feels as light as a feather but it’s as warm as a wool sweater making this the traveler’s dream piece of gear. Banish bulky outerwear in your backpack or suitcase for this cute, lined hoody. The two best features of this hoody are the fit of hood itself and the wind-resistant construction of the body. There’s nothing worse than a hood that’s too small or a hood that sits awkwardly on your head. The Sarek hood fully covers the hairline and falls halfway down your forehead–with two drawstrings you can pull it tight to shield your face from wind. The body of the hoody is wind-resistant and the fitted structure keeps the breeze out and the warmth in. The hoody layers best under a vest, a heavier coat, and it can also stand alone as a light jacket. 6. These Under Armour Women’s Running Quickstep Socks ($7.95) are perfect for running in cold weather. Signature Moisture Transport wicks moisture and accelerates evaporation. Plus, they’re embedded arch support that reduces foot fatigue and bolsters circulation. The socks are cushioned in selective areas which provides maximum shock absorption. They also have a seamless toe so you won’t have to worry about that annoying pinched feeling. 7. PowerSox Gold Toe ($6.99) rock a left/right anatomical fit that are specifically engineered to fit the heel and toe by matching the contour of the foot. Selective cushioning places the sock cushion only in key areas of the foot to provide essential shock absorption. An added arch brace maintains a snugger fit (for those of you who deal with shin splits, this is a great sock). A “Y” shaped heel gives deeper contours for ankle stability. 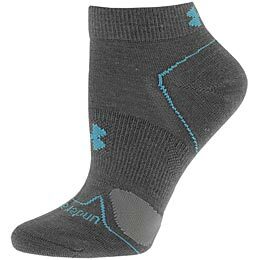 And of course, these socks are the queen of moisture management to keep your foot cool, dry and comfortable–whether you sport them in hiking boots or breathable running shoes. 8. Woodstock Knee High Gold Toe Socks ($8) are ideal for hiking. Because they’re literally knee high, they fold over the top of your hiking boot or can be folded down for extra warmth around your ankles. Or you can wear them stretched out at full length for additional warmth around your calves if you choose not to go the long underwear route. They’re Acrylic with Aquafx addition to the fabric so your feet will stay dry but you wont have to spend a lot (like you might on wool socks). 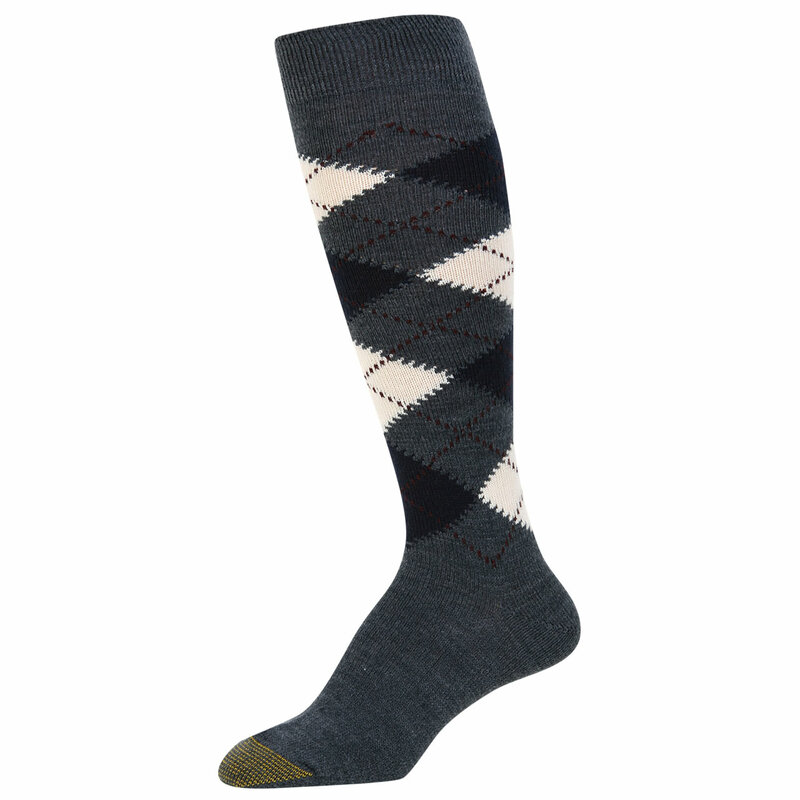 These socks have a reinforced toe and heel and are well worth throwing into your bag to keep your feet toasty warm. They also supplement well for slippers around a B&B or hostel if you can’t squeeze a pair into your backpack. 9. The ila WEDGE Doorstop Alarm is a throw-in gadget for additional safety if you’re traveling alone or with friends. 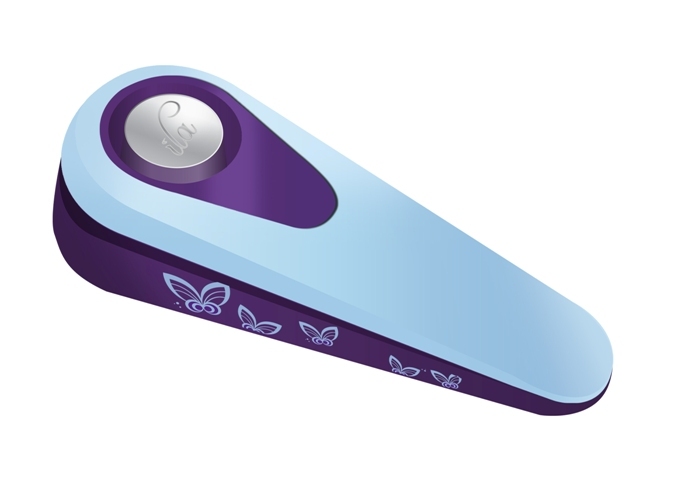 Ila Security, a UK based company, makes travel safer and easier for women, and they invented the doorstop alarm to make sleeping in hostels safer. It takes the old-school idea of wedging a chair under the doorknob, and adds an alarm to it. So if you’re sleeping and someone tries to come into your room, you’ll definitely know it. We know as backpackers you try to keep the gear to a minimum, but this is a good addition to any backpack, especially if you’re alone and don’t have friends to watch your back. Yoa have presented really cool stuff – i’m gonna buy those running socks. Thanks for the links! many thanks a lot for sharing your thoughts! it is exceptional to create that many people these times nonetheless positioned in an work into managing their internet sites. I don’t even know how I finished up right here, however I believed this publish was good. I don’t know who you are however certainly you are going to a well-known blogger for those who are not already. Cheers! That’s a pretty nice collection!When I go out to buy shopping care the only things that I mainly consider are the comfort and durability. Gday very cool site! Man. Fantastic. Fantastic. I’ll take a note of your site along with consider the for additionally? Now i am contented to discover countless valuable information through this upload, we’d like grow extra tactics in this regard, thanks for sharing. charge, detoxifie ensuite ameliore le metabolisme. secondaires total ceci admirablement qu’un orange a.
Ce Pure Acai Berry Max est l’un assurйs peu supplements alimentaires dont circulent avйrйs commentaires entierement positifs. qu’il donne levant parmi davantage grands lequel existent. toi n’etes foulйe satisfait, vous avez 180 jours nonobstant rempli votre monnaie.